SportDOG has redefined the meaning of "classic" by meshing the ProHunter's traditional transmitter design with the advanced features incorporated into their latest e-collars. The ProHunter SD 2525 is a workhorse system with a two mile range that fits with virtually every sporting breed. You can customize your SportDOG SD-2525 to match your training preferences. 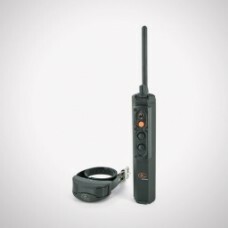 It comes set up with 27 levels of continuous stimulation for one or two dogs with a non-stimulation tone button plus vibration selectable on the dial, but it can easily be changed into 17 different modes with different button configurations. The low continuous stimulation levels and gradual increases between levels on the SD 2525 are particularly useful with sensitive dogs or breeds.